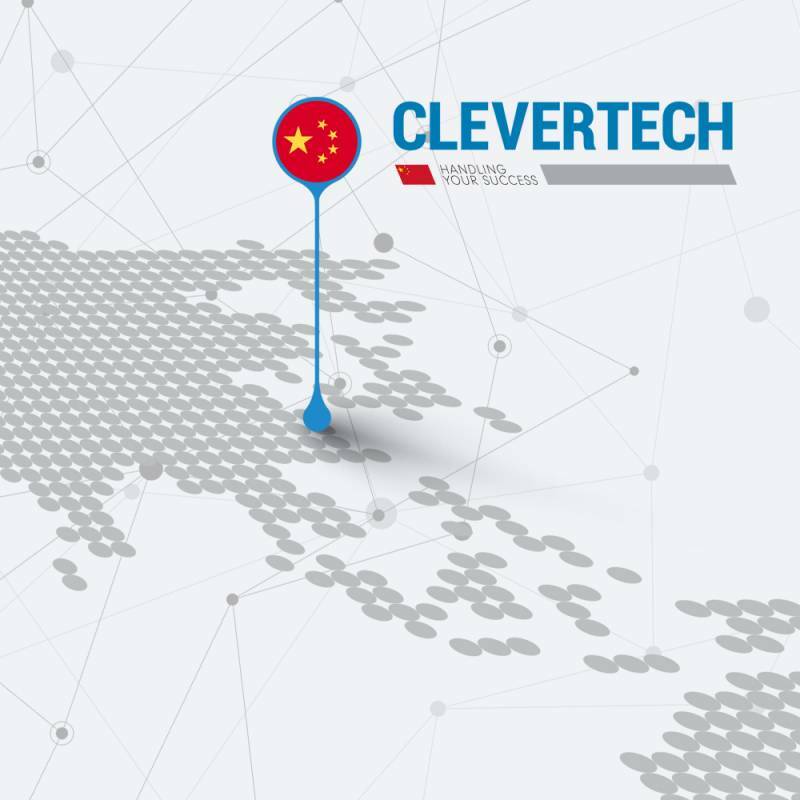 Our Clevertech Asia Pacific subsidiary features two locations, one dedicated to financial and sales functions in Shanghai, and a production site located in Changshu. The production site, with its modern organisation, offers high levels of added value: the use of the highest quality standards developed over more than thirty years of operation in Italy, combined with the ability to lower production, transport and customs costs. The marketing site has in-house professional managers, mechanical, software and electrical technicians, as well as over twenty external technicians. Clevertech Asia Pacific is able to handle systems design, support in the design, testing, installation and commissioning of systems, after-sales and spare parts support. Project Management is handled in Chinese, directly and efficiently from the premises. The highly qualified staff are at customers’ service to meet any and all support requests, whether commercial or technical, and can be at customer premises within 24 hours. Manuals and other documentation for the systems manufactured at Clevertech Asia Pacific are provided in Chinese. The presence of a spare parts warehouse ensures reduced delivery times and a highly reactive response.